Take advantage of this opportunity to get to know our new product groups „SESAME STREET“ and „Jungle“. 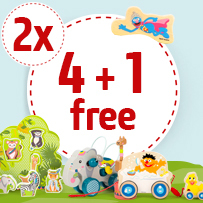 The following applies for orders placed between 17 September and 1 October 2018: Receive 5 items in a product group, but pay only 4… as we will give you a matching free item when you buy four „SESAME STREET“ or „Jungle“ items of your choice! The Sesame Street collection – wooden toys with familiar faces! Ernie, Bert, Elmo and Cookie Monster are just a few of the many friends you will find on SESAME STREET! Since 1969, Sesame Street has been helping kids grow smarter, stronger and kinder. At the beginning of this year, Legler became a part of this wonderful world as a licensed partner of SESAME STREET! The characters of SESAME STREET are enriching our assortment, particularly in the categories of motor skills toys, role-playing and books. Getting curious? Then come take a look in our SESAME STREET theme world. The new products in SESAME STREET designs have the potential to make your assortment a real hit! 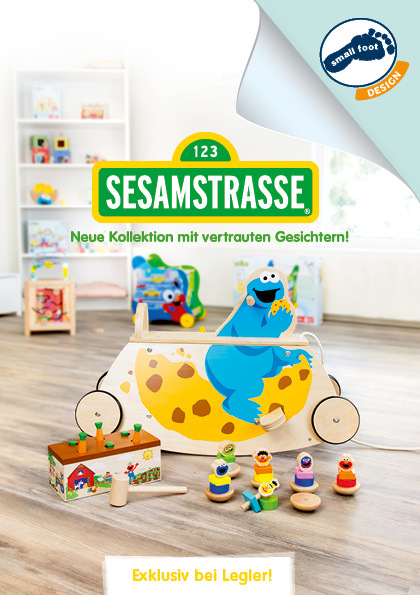 Choose four different products from the SESAME STREET product group* in the time between September 17th and October 1st 2018, and we’ll give you the SESAME STREET Numbers & Colours Wooden Book (Product Nr. 10968) for free! Simply enter the code FREEBOOK in the promotional code text box in the shopping cart when placing your online order. The promotional code can only be redeemed once. Delivery will occur in calendar week 39. Now it’s getting wild in the children’s room! The elephant, zebra and their friends are totally trendy right now, and they’re guaranteed to get kids’ hearts soaring. 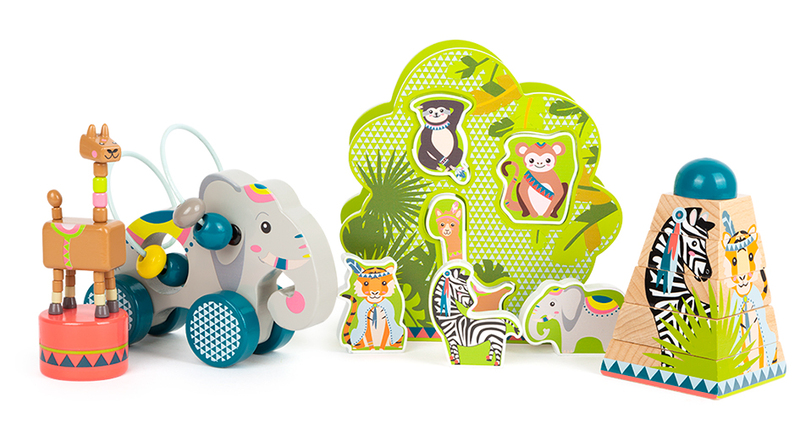 Our new product group “Jungle” brings the wilderness directly into the children’s room or nursery with many cheerful, lovingly designed motor activity toys. Choose four different products from the Jungle product group* in the time between September 17th and October 1st 2018, and we’ll give you the “Jungle” Puzzle (Product Nr. 11095) for free. Simply enter the code JUNGLE18LEG in the promotional code text box when placing your order.